Clarks Tiny Blossom girls cruising shoe. It features a T-Bar design with a soft, premium leather upper and pretty floral applique detailing. The velcro fastening allows for adjustability and a secure fit and also means it can be put on and taken off with ease. 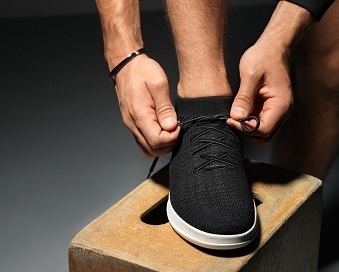 It's rubber sole provides grip and the raised toe bumper adds protection from scuffs and scrapes. 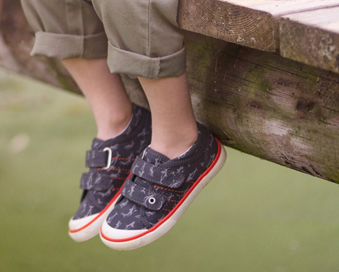 Lightweight and flexible, they make the perfect shoes for crawling around in!